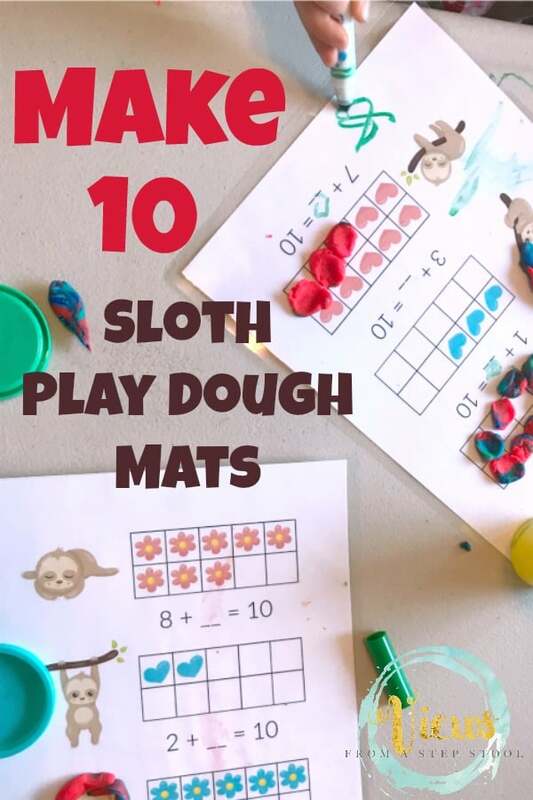 Play dough mats are a really fun way to make early learning and hands-on, sensory experience! 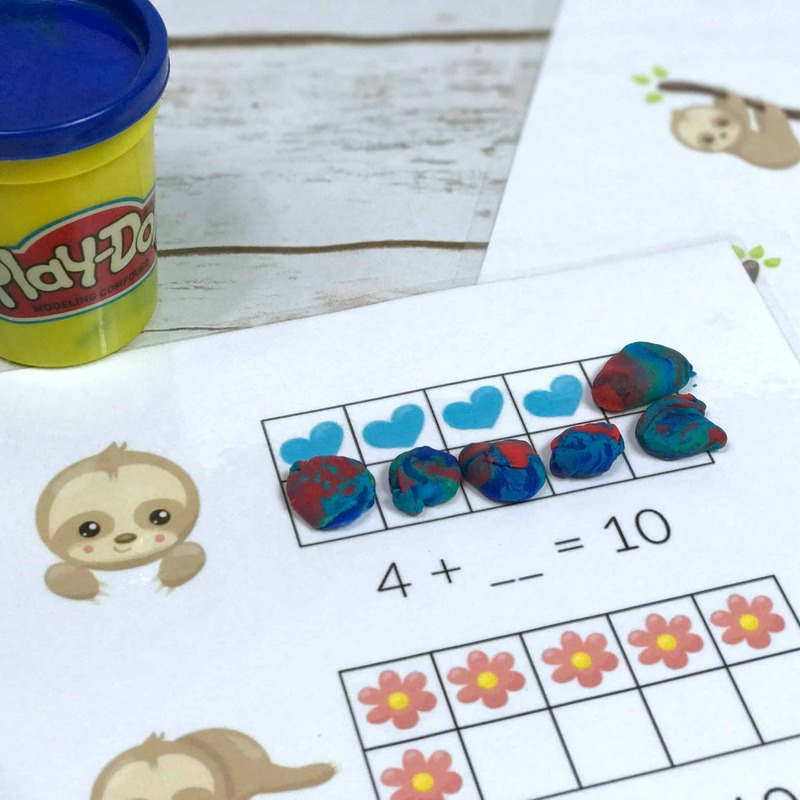 Play dough alone has many benefits, and by turning math into such a fun activity, kids are bound to remember what they are practicing (but won’t even know they are learning!). 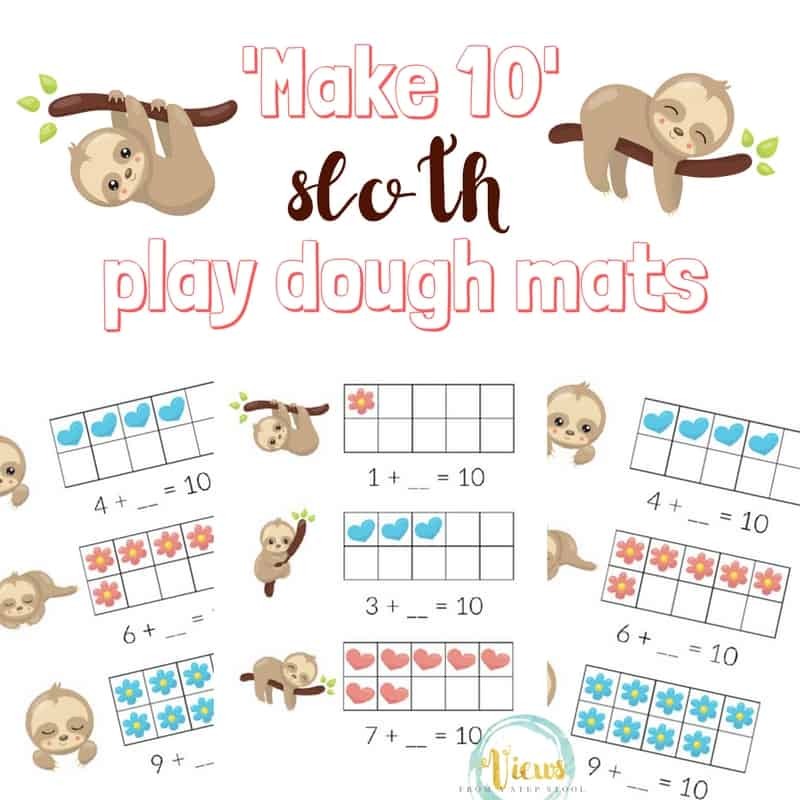 Head over to my shop by clicking the button below and grab these adorable little play dough mats (they are only $0.99) for a limited time! 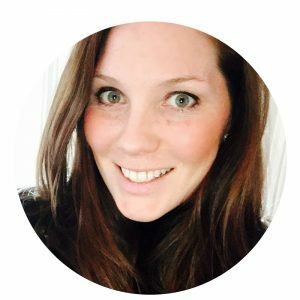 Be sure to check out below all of the fun we had with them, and how you can ensure you get the more ‘life’ out of your mats. 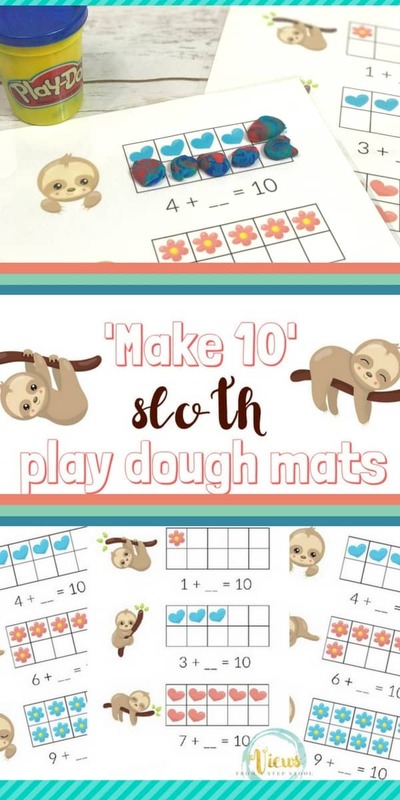 Get the Sloth play dough mats now! 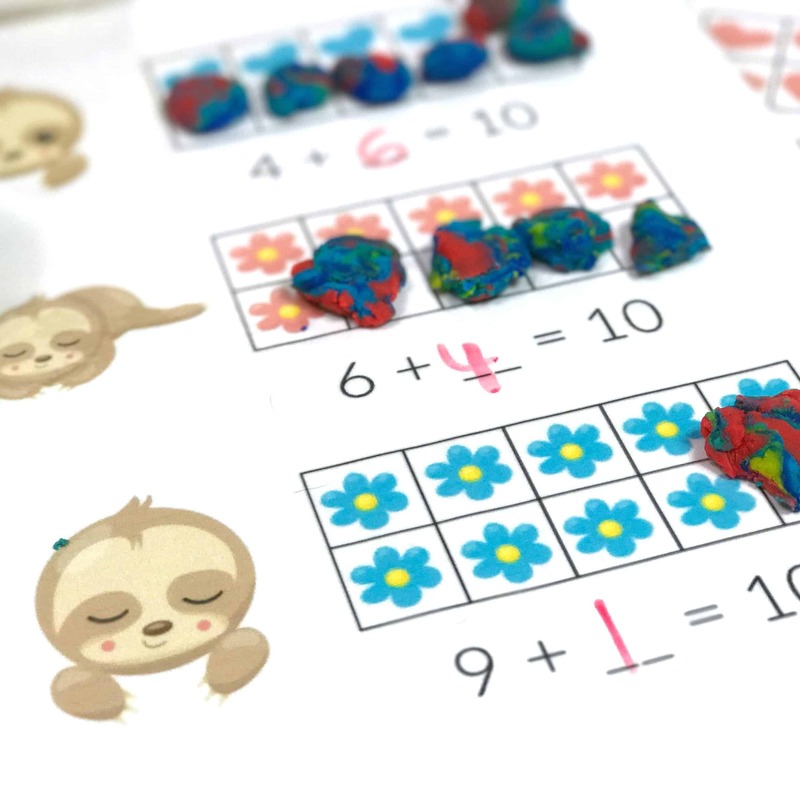 Once you have your mats printed, you can choose to use ‘as is’, or you can use these couple of suggestions to use them over and over again! 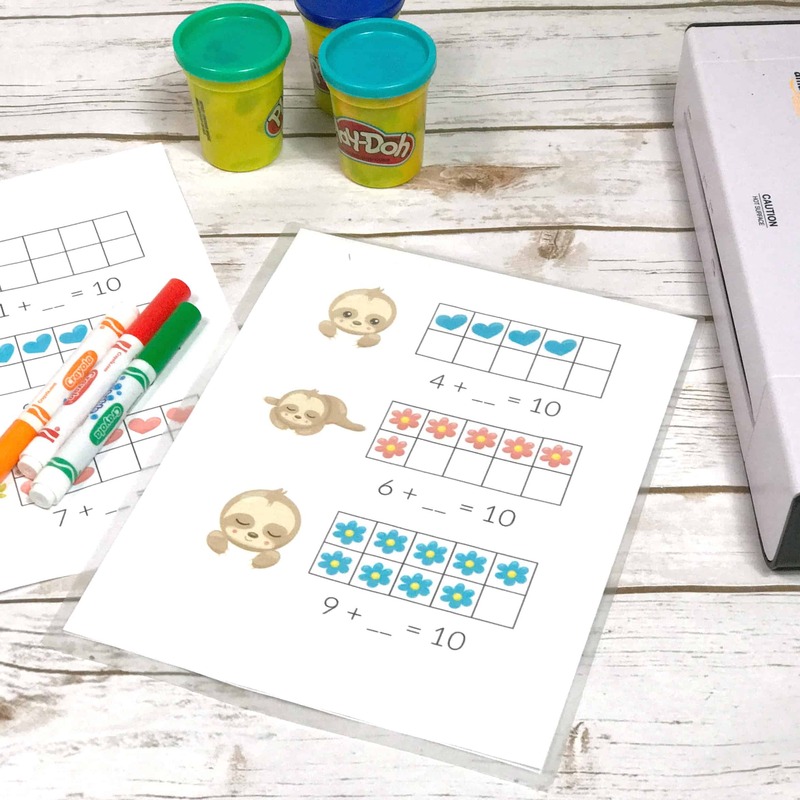 Perfect for learning or staying busy on-the-go, or in your homeschool. 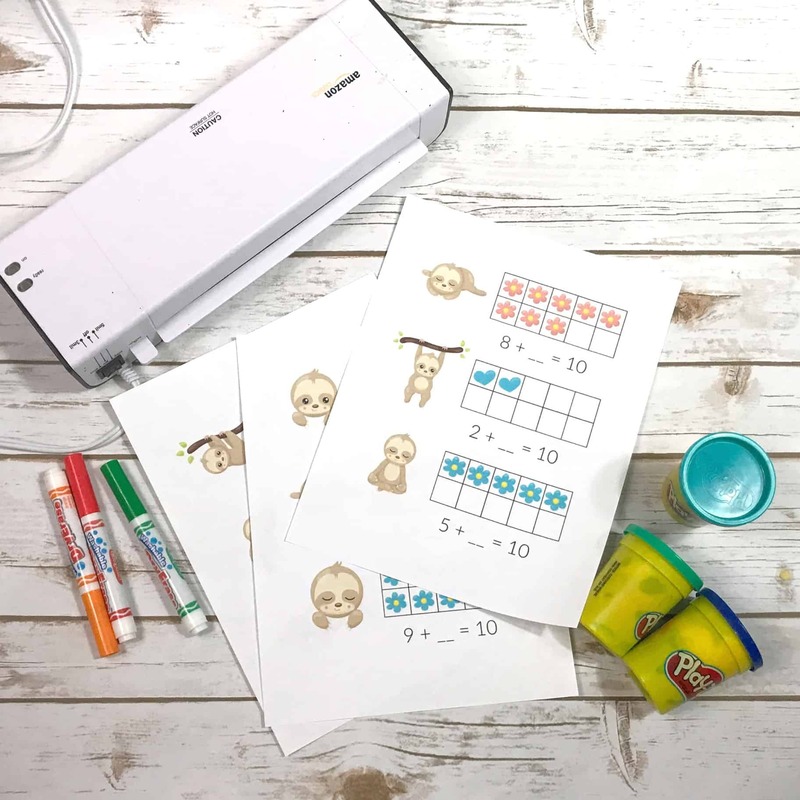 The second option is to use a sheet protector, then slip them in a 3-ring binder! 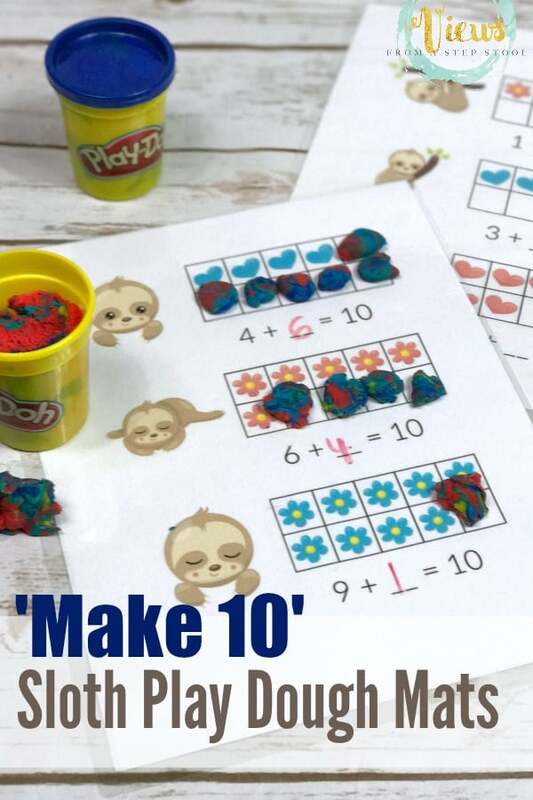 Once you have them laminated (if that’s your choice), the kids can simply roll balls of play dough (great fine motor practice) and place them on the blank boxes of the mat. 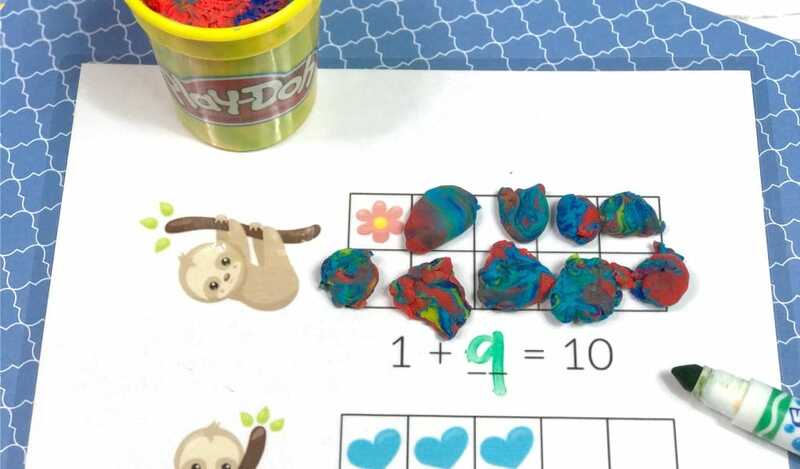 Count and record the balls of play dough, filling in the math equation with a dry erase marker! Do these over and over again! 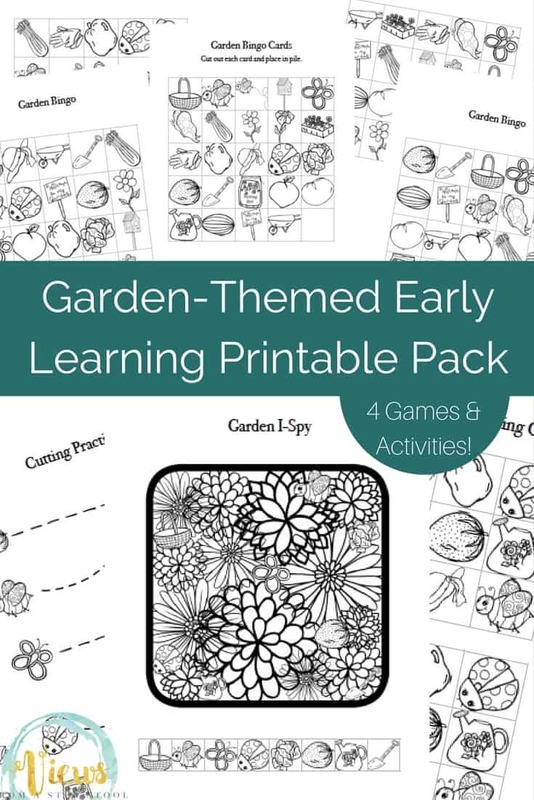 If you like this, check out the Garden Early Learning Packet in my shop as well!